Short on time to make a healthy dinner? 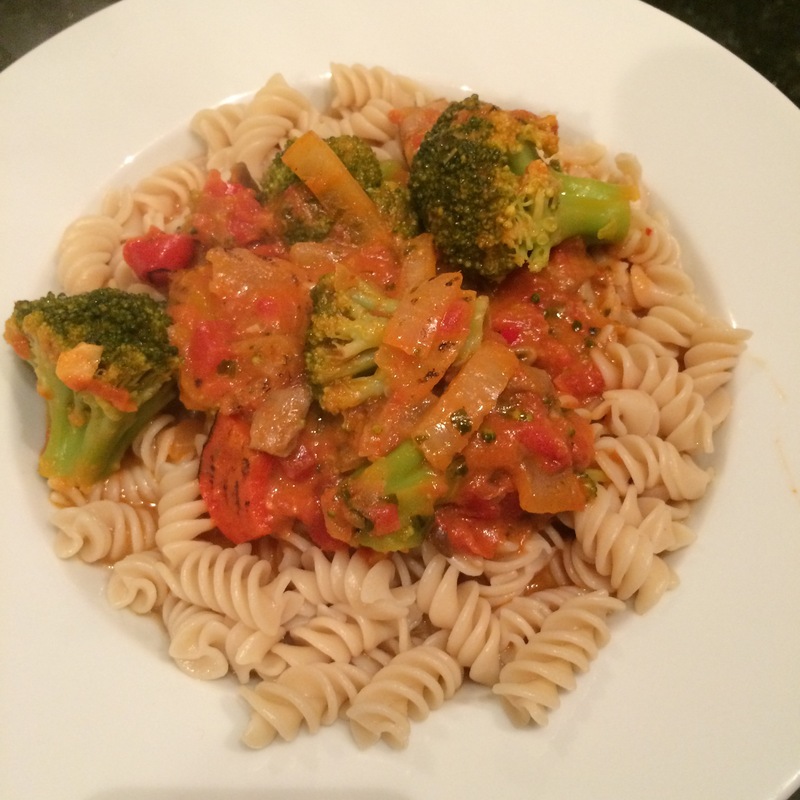 Try Quinoa Pasta with Veggies & Tomato Sauce. I always keep a few bags of frozen veggies in the freezer and I always have a can diced tomatoes on hand, in the event that I need a quick and healthy dinner. In one pot, boil your pasta. In the other pot, add the tomatoes, a handful of the frozen veggies, a splash of olive oil and tons of herbs and let it cook until the veggies thaw out. Combine and enjoy!